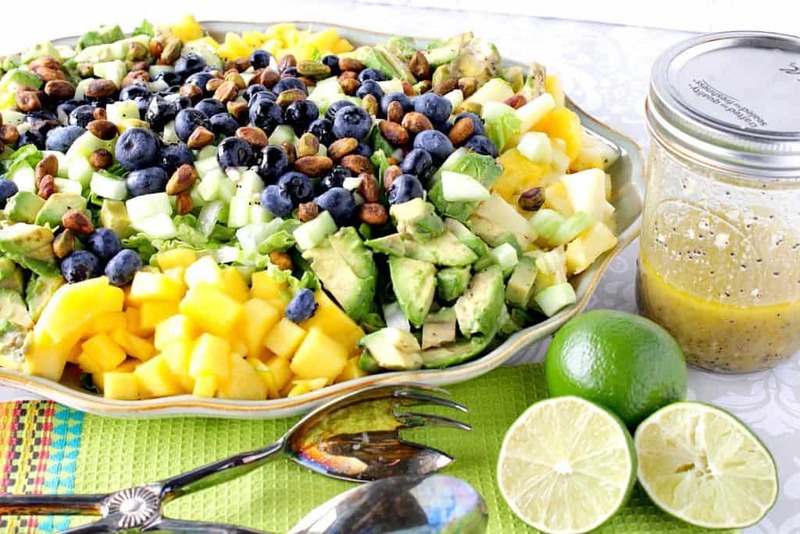 Heart Healthy Avocado Mango Salad With Lime Poppy Seed Vinaigrette is a brightly flavored and satisfying salad. It makes a delicious dinner all by itself, or for some added protein add some cooked chicken breast or turkey. Your call. Your salad. **Please Note – The printable recipe card with detailed instructions and complete ingredient measurements for making Heart Healthy Avocado Mango Salad with Lime Poppy Seed Vinaigrette is available near the end of this post. One of the things I love best about being a food blogger is it keeps me from falling into the trap of cooking the same things over and over and over. 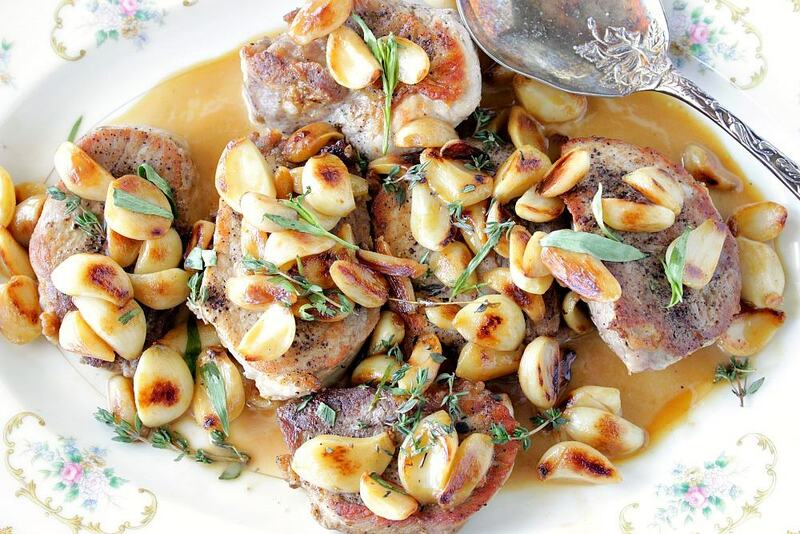 Since I like to keep things fresh with a good bit of variety here at Kudos Kitchen, I’m constantly trying to come up with new and exciting recipes that I think will be a hit with my family, as well as with yours. 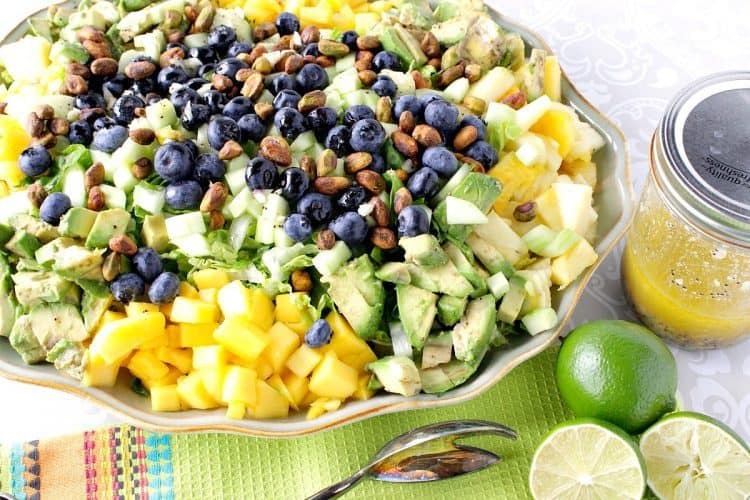 This Heart Healthy Avocado Mango Salad is just the ticket! My husband is primarily a meat and potatoes man. Much to his chagrin, I don’t make a lot of meat and potato dinners. But trust me when I tell you he’s not complaining or suffering! I think he likes the variety on the dinner table as much as I do. I did my best to produce this fun and fast-paced video of the making of Heart Healthy Avocado Mango Salad with Lime Poppy Seed Vinaigrette. I hope you’ll find it entertaining and helpful. If you enjoy this video, please don’t forget to subscribe to my Kudos Kitchen channel on YouTube. Thanks so much!! I’m happy to report my husband LOVED this Heart Healthy Avocado Mango Salad. He honestly couldn’t stop raving about it that night at dinner, and the next day he was excited to take some of the leftovers to work for lunch. As you can tell by the video, our dog Nutmeg wasn’t as big of a fan. Just kidding. She didn’t actually have any of the salad, but I thought it would be funny to have her in the video as a cameo performer because she’s a little rounder in shape due to some medication she’s on. Too much information for a recipe post? Probably. But at least I get to highlight our baby girl in a funny way on a video, as well as focus your attention on this delicious, and nutritious Heart Healthy Avocado Mango Salad salad! 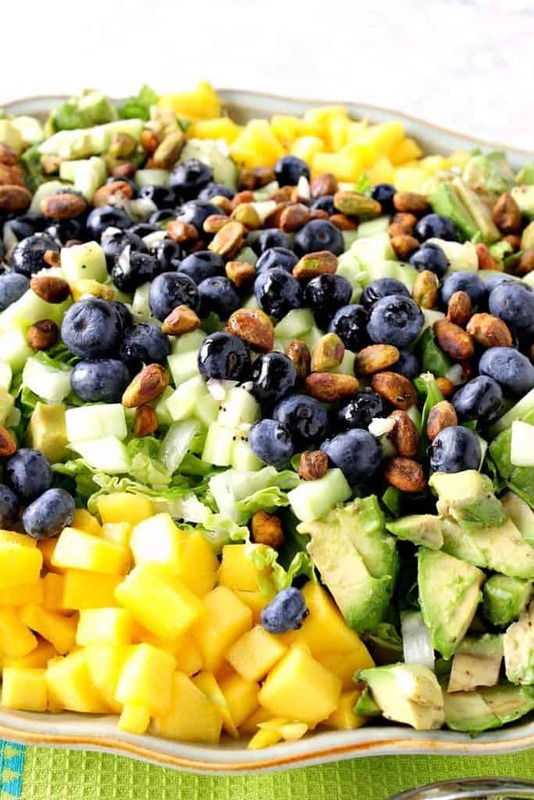 The items you’ll need from the market (or your pantry and fridge) to make this salad are as follows: two heads of romaine lettuce (or use your favorite lettuce), 3-4 limes, olive oil, poppy seeds, honey, shallots, mangos, pineapple, blueberries, cucumber, avocados, and pistachios. Of course, feel free to omit (or change) any of these items if you are partial to some, and not to others. I’ll never tell, and I’ll never know. It’s your salad, make it however you like and make it however you think your family would enjoy it best! 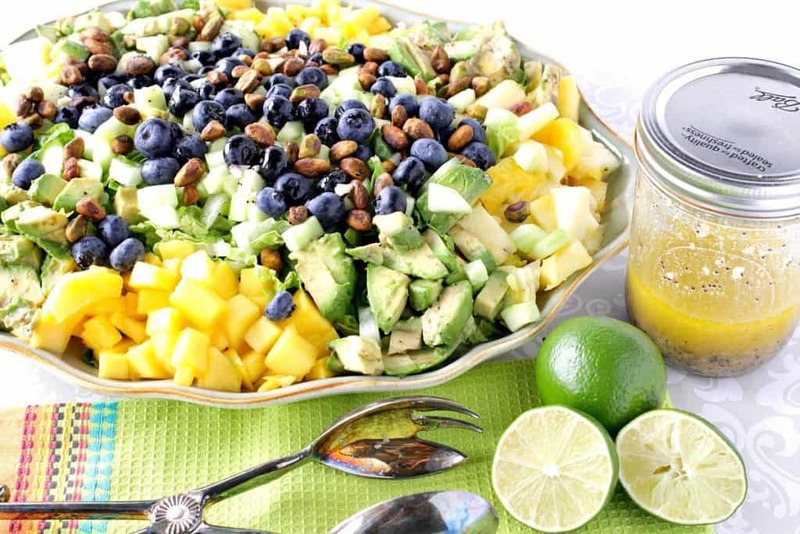 This Heart Healthy Avocado Mango Salad with Lime Poppy Seed Vinaigrette is perfect for summer. Since the dressing is made with lime and olive oil and no mayonnaise, it can withstand a bit of summer heat without worries. If you’re eating a Whole 50 diet, a raw foods diet, vegetarian, and even Paleo and gluten-free, then this is a salad you’re going to want to add to your meal plan. 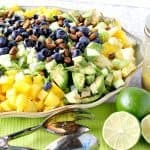 Heart Healthy Avocado Mango Salad With Lime Poppy Seed Vinaigrette is a brightly flavored and satisfying salad. It makes a delicious dinner all by itself. Or for some added protein add some cooked chicken breast or turkey. Your call. Your salad. Whisk all the ingredients in a medium size bowl. Transfer the vinaigrette to a jar with a lid and refrigerate until ready to use. Add the diced avocado to a medium bowl. Season with salt and pepper and toss with 1 tablespoon lime juice. This will prevent the avocado from browning too quickly. Assemble all the ingredients on a large platter in a fashion you find most appealing. When ready to serve, drizzle with the lime poppy seed vinaigrette and top with shelled pistachios. If you’re new to cutting mango’s check out this blog post from Simply Recipes. And if you want the skinny on how to cut and dice a fresh pineapple, check out this blog post from Seeded at the Table. And lastly, if you aren’t sure how to dice and seed and avocado have a look at this blog post from Simply Recipes. If you’re still hungry for other healthy summer salads and sides that are great for outdoor entertaining, please check out the following recipes I’ve shared in the past for Creamy Broccoli Blueberry Salad, Chilled Orzo Pasta Salad with Sweet Corn & Blueberries, Heirloom Tomato Salad, and Roasted Golden Beet & Broccoli Salad. For more information regarding the health and nutrition benefits of avocados, please check out these 13 amazing facts you can find HERE. 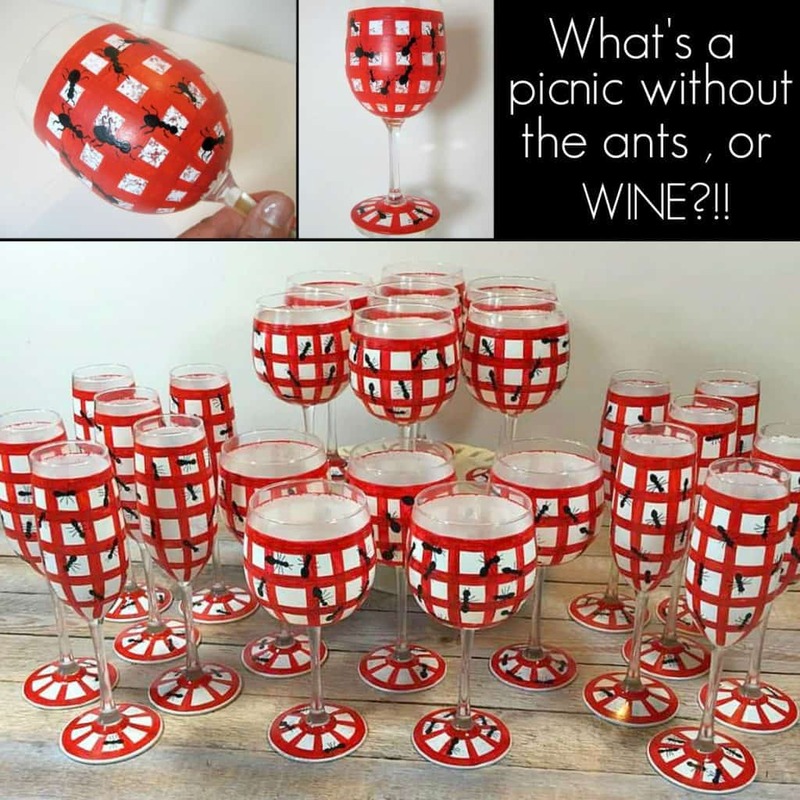 I’ve decided to coordinate this post with this fun (albeit a little unusual) Picnic Ants Wine Glass. 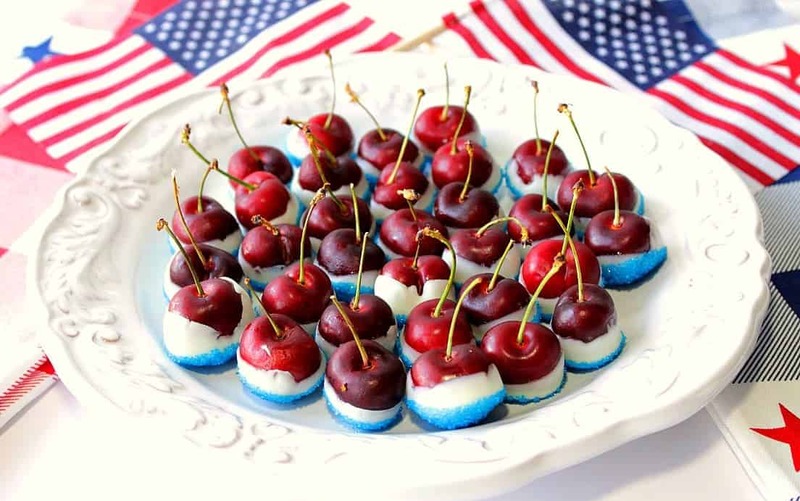 After all, if you’re going to be having backyard BBQ’s and picnics this summer, there’s no way the ants won’t be in attendance (but hopefully only in this fun and whimsical way). I sincerely hope you’ve enjoyed today’s recipe for Heart Healthy Avocado Mango Salad with Lime Poppy Vinaigrette as much as I’ve enjoyed bringing it to you! don’t hesitate to contact me directly, or leave me a comment in the comment section below. It is always my distinct pleasure to get back to you with a reply just as soon as I possibly can! Renee, This looks absolutely delicious! I love avocado and mango. I will have to make this soon! I’m sorry about your dog, but the vinaigrette sounds amazing! This is one salad I will gladly eat! This is one absolutely gorgeous salad! Such a wonderful combination of fruit flavors. This salad looks simply fabulous! I cannot wait to try it! This looks like the freshest most delicious salad!